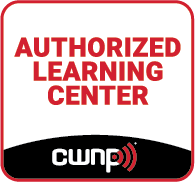 Training the wireless and cyber security world! Reaching a new milestone, GigaWave Technologies recently received its Women-Owned Small Business (WOSB) Certification from the South Central Texas Regional Certification Agency of Bexar County. GigaWave is owned and managed by Vicky Sablatura, CEO, who is a 30 year retired public school teacher that now brings her classroom acumen to GigaWave. By obtaining this certification, GigaWave will benefit with increased opportunities to compete for federal contracts and partnering opportunities with other corporations. The resulting outcome will enable tremendous business growth. The WOSB Certification Program allows contracting officers to set aside specific contracts for certified WOSBs. Thus, helping federal agencies achieve their statutory goal to award five percent of federal contracting funding to WOSBs. Vicky states, "We are very excited to see what new customers this certification can bring to us in the future." GigaWave is a professional training and services organization focused on training network engineers on the skills of designing, deploying, securing and supporting WiFi networks as well as providing state of the art training in the area of Cyber Security. GigaWave was founded in 2000 by Charles Sablatura, who still remains with the company.